Lior Samson writes thoughtful thrillers, stories of action and political intrigue that challenge the imagination and probe issues of personal, religious, and national identity. A university professor, consultant, and science fiction author with more than a dozen books and hundreds of articles to his credit, he lives with his wife and their two children in Massachusetts. NEW! "The first Law of Cyber-Terrorism: Anything that can be turned on under program control can be turned off; anything that can be controlled remotely can be thrown out of control remotely." Destiny Allen doesn't even like video games. A Web designer for computer security giant Scenaria Systems, she finds herself enmeshed in a deadly game, a puzzle that blurs the boundaries between the virtual and the real. At stake: the infrastructure of modern America. Her resources: college friend Dina Gustafson and Karl Lustig, an Israeli journalist with friends in dark places. The challenge: sort out the good guys from the bad before the lights go out. A fast-paced technology thriller, Web Games is about real risks and virtual worlds, about Internet threats as close as tomorrow's nightly news, and about the ever-escalating warfare between black-hat hackers and modern society. The Dome of the Rock, situated on the Temple Mount, a site sacred to three of the world's great religions and claimed by both Israel and Palestine, has suddenly become a hotter-than-ever topic on the Internet. After decades of tracking terrorist threats, Lev Novikov, a second generation agent with HaMossad, Israel's top intelligence agency, is nearing retirement but now finds himself facing a fresh challenge that threatens to rewrite history and turn the conflict in the Middle East inside out. With the help of technology journalist Karl Lustig and his family, Lev and his team must figure out the nature of the threat and neutralize it before catastrophe on an unprecedented scale strikes Jerusalem, the City of Peace. 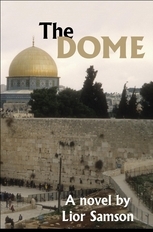 The Dome is non-stop action with unlikely heroes and unexpected twists on terrorism that raises questions about the nature of extremism. Don't miss it! It's 1963. A gifted and inquisitive student at the Massachusetts Institute of Technology stumbles on a storage room filled with unusual supplies. What begins as a student stunt soon explodes into a life-changing misadventure. Decades later, an unexpected encounter with a college classmate shakes a world-weary computer consultant out of his routine and brings him face-to-face with a distant past that he must quickly decipher—or die. 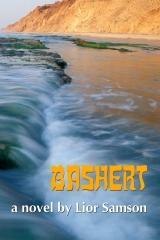 Bashert, meaning fate, is an intricate and intense political thriller, a tale of intrigue and innocence, devotion and destiny. Inspired by a real events, Bashert is a page turner that caroms between continents and across timeframes as it narrates a story of betrayal and self-sacrifice set against the backdrop of Israel's emergence as a nuclear power. 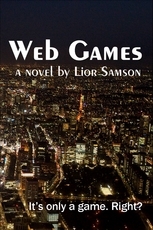 "True to form, Samson is just ahead of the curve with yet another thriller and its theme is cyber-terrorism. ... You will not put it down." "Intricately plotted at a breathless pace, Web Games is a winner." "A suspenseful and timely novel,...takes you behind the scenes of modern spycraft and terrorism. I cannot say enough good things about this novel." "An exciting thriller that will be hard to put down, .... an excellent read and very highly recommended." "Exciting book! Full of intrigue and suspense, with characters worth caring for." "A great summer read,...every step a satisfying espionage thriller [and] a story to feed the inner nerd."